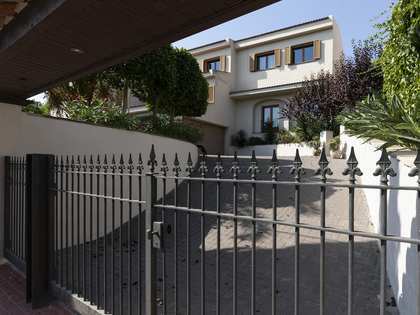 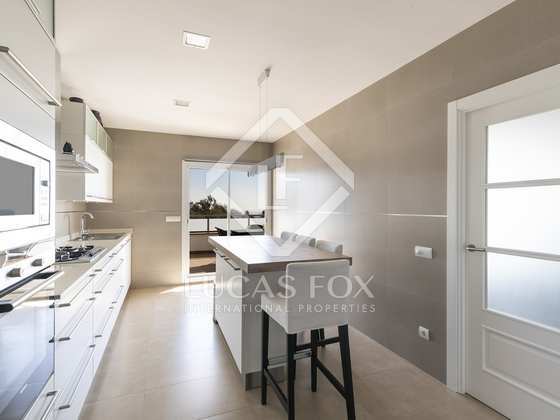 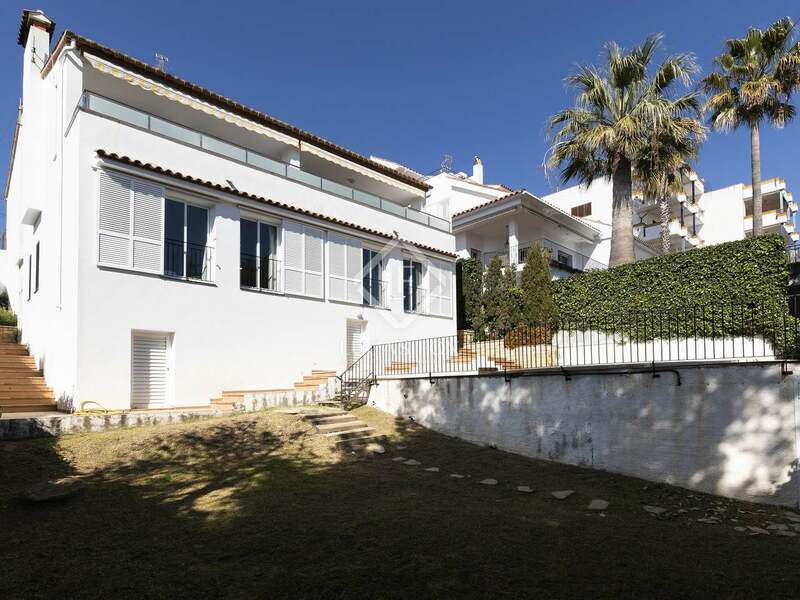 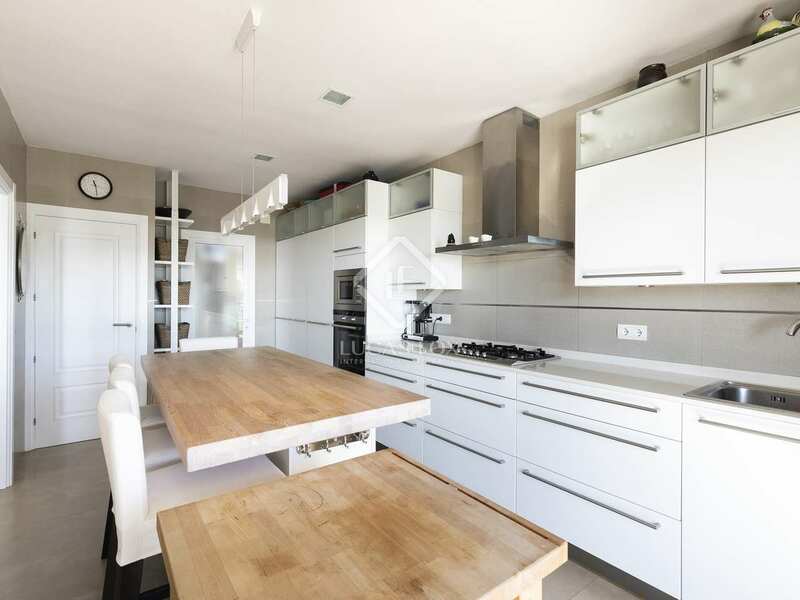 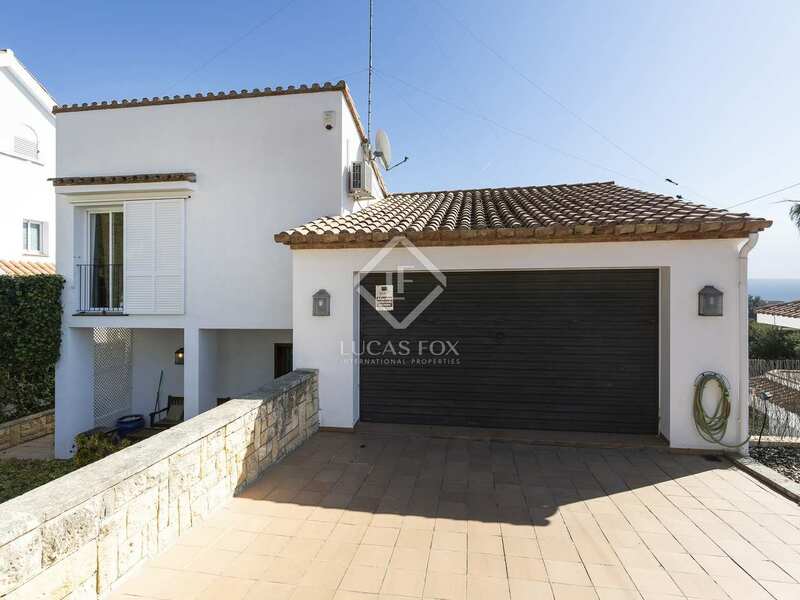 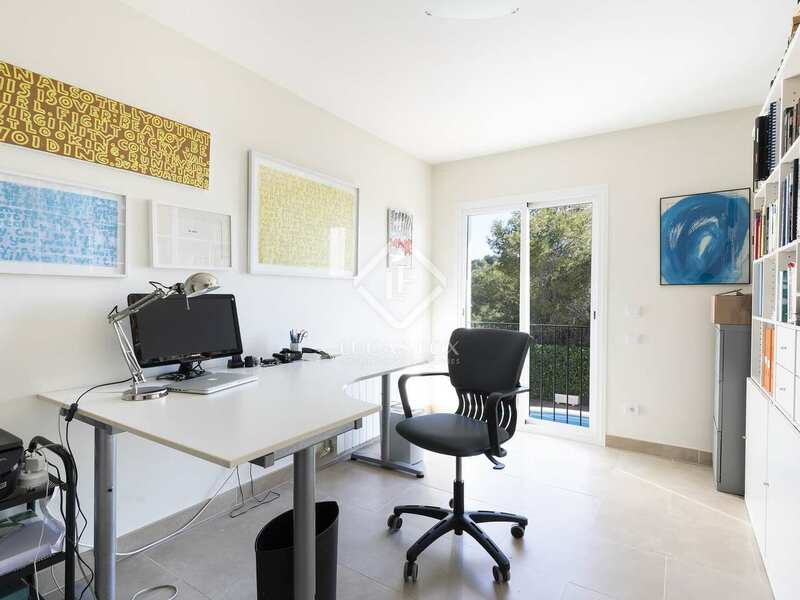 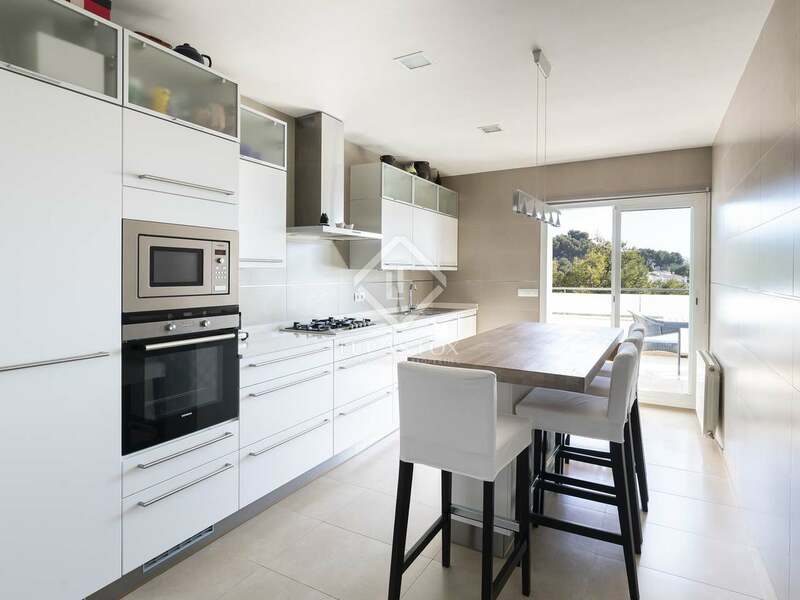 This large, fully renovated house with high quality materials is located in Vallpineda, a residential area just above Sitges. 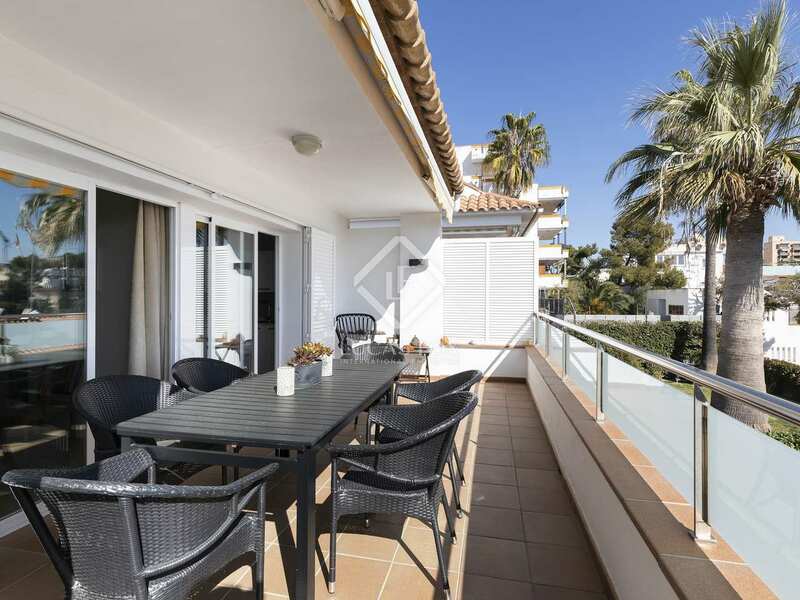 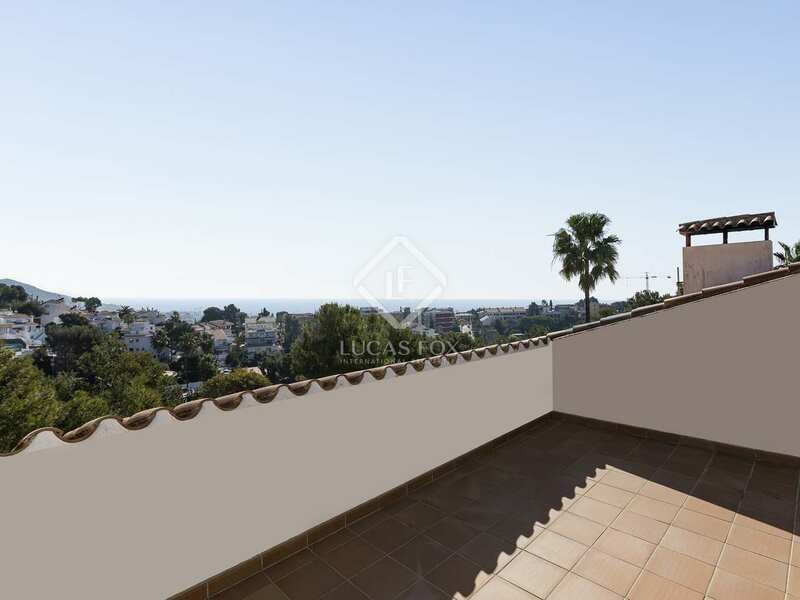 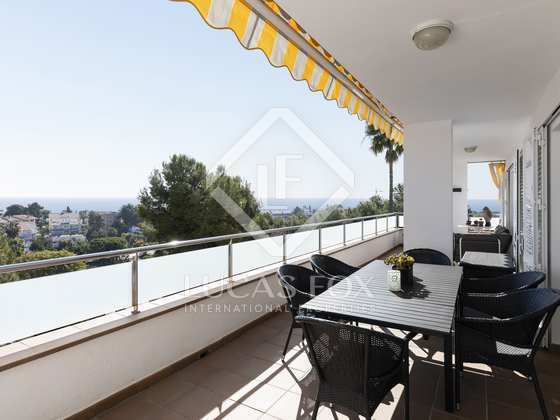 It is a solid, Mediterranean-style construction, with a very well planned layout and views of all Sitges and the sea from all floors. 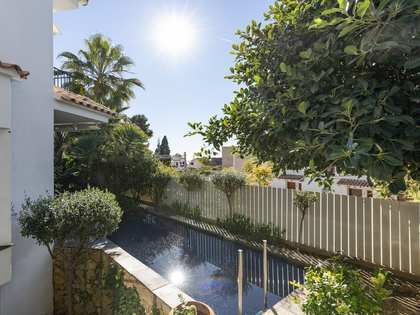 In addition, it enjoys a lot of light thanks to its large windows and has a garden with a pool with sea views in the front and a parking area in the back. 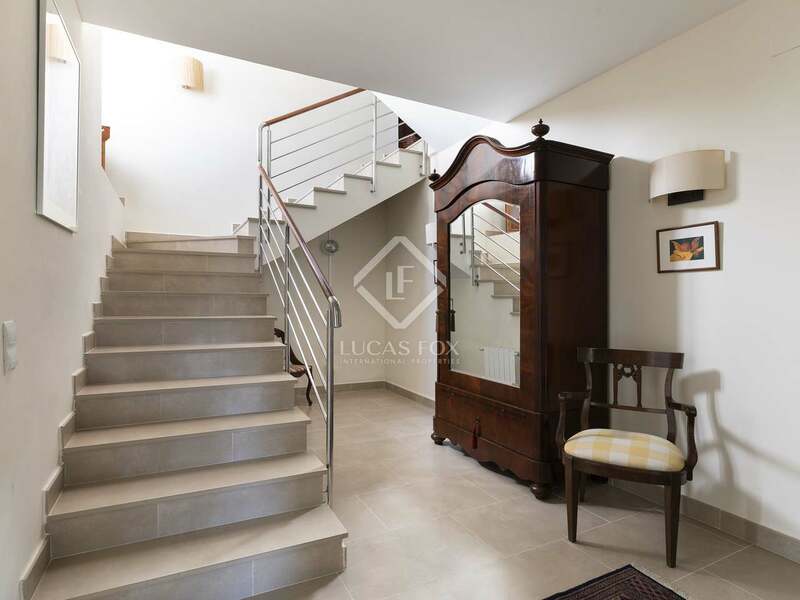 Upon entering the house we find a large hall with the staircase that leads to the upper floor. 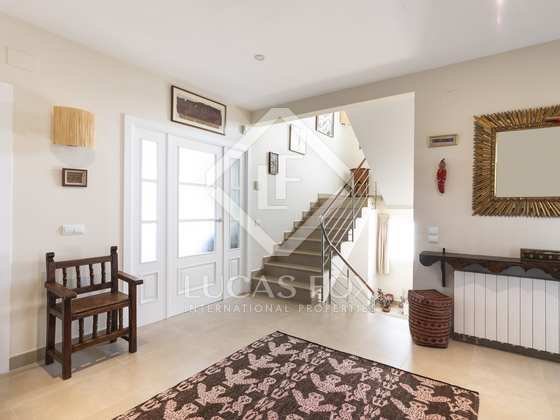 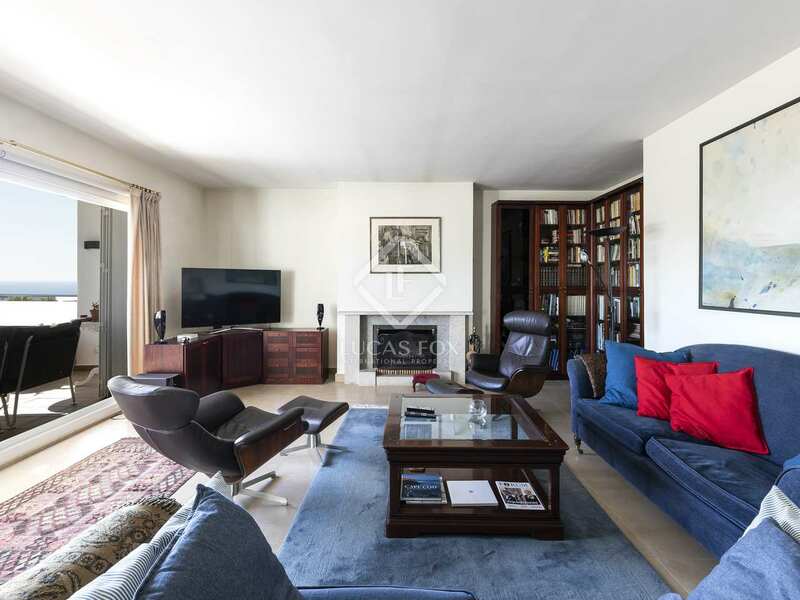 The hallway leads to a spacious living room with a fireplace and the kitchen, which has access to a large terrace with a chill-out area and an outdoor dining room. 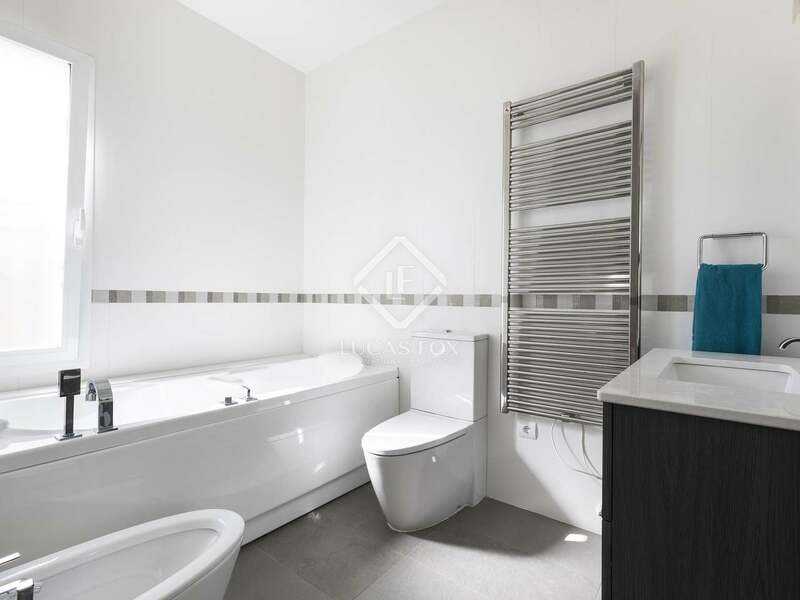 A guest toilet completes the floor. 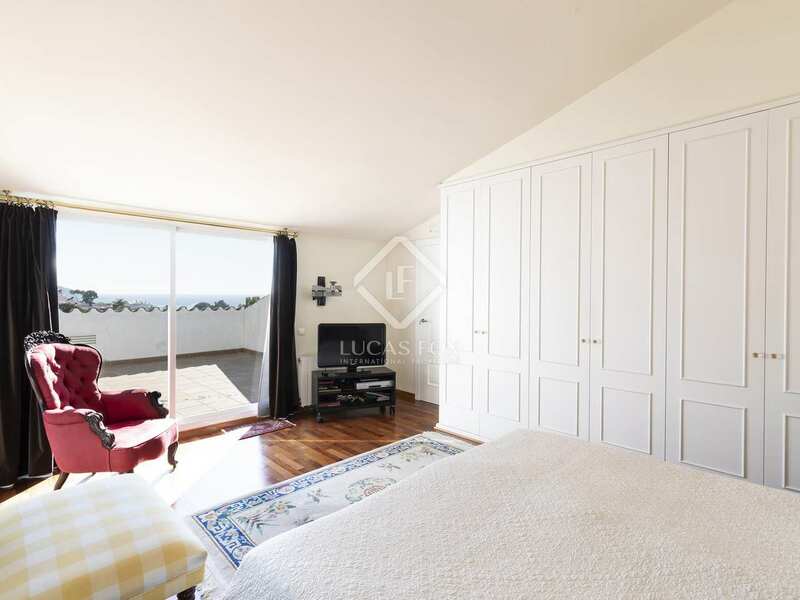 The master bedroom is on the top floor, with its private bathroom and a sunny terrace with incredible sea views, and the remaining 5 bedrooms (4 doubles and 1 single) are on the lower floor. 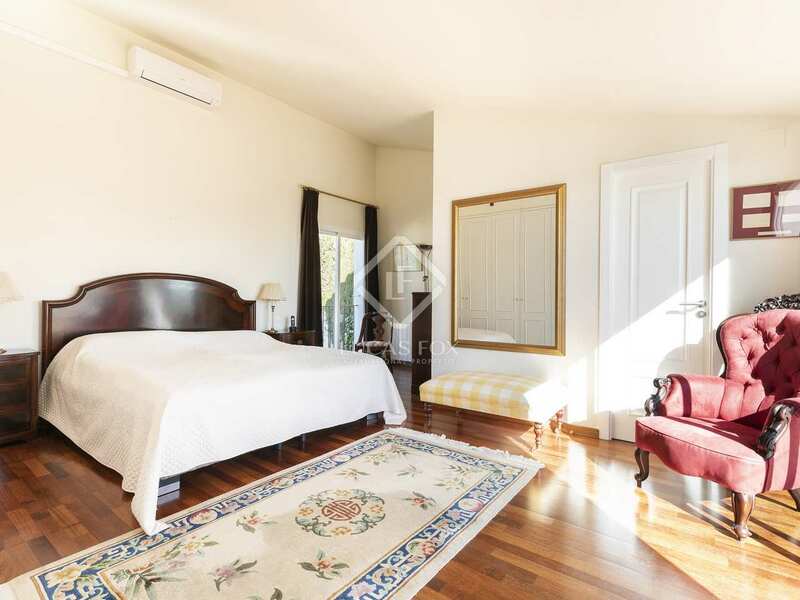 One of these double bedrooms has a private bathroom, and there are 2 further complete bathrooms. 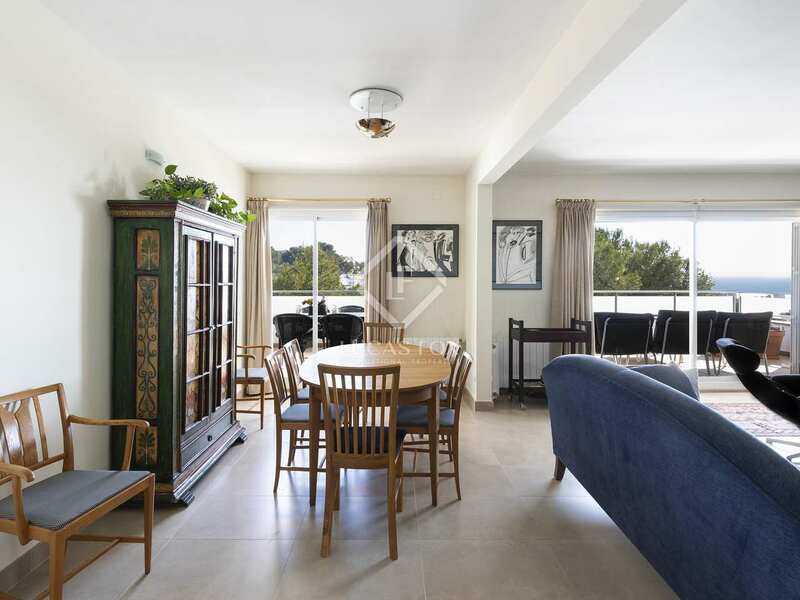 On this floor there is also a laundry room with access to the pool, and a large garage for 2 cars. 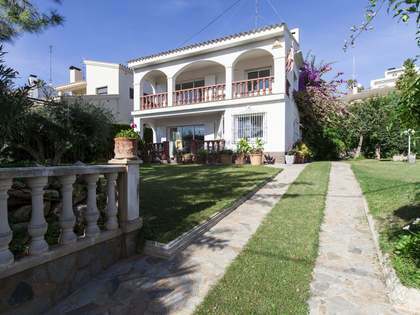 This comfortable house with unique character would be ideal for families. 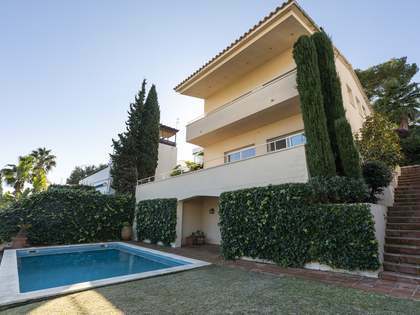 Vallpineda is a quiet residential area just above Sitges, just 5 minutes' drive from the centre. It is a family-friendly area, where the British School is located, with sports facilities, an equestrian centre and 24-hour security. Sitges is located approximately 40 kilometres southwest of Barcelona, and is known internationally thanks to its film festival and Carnival. 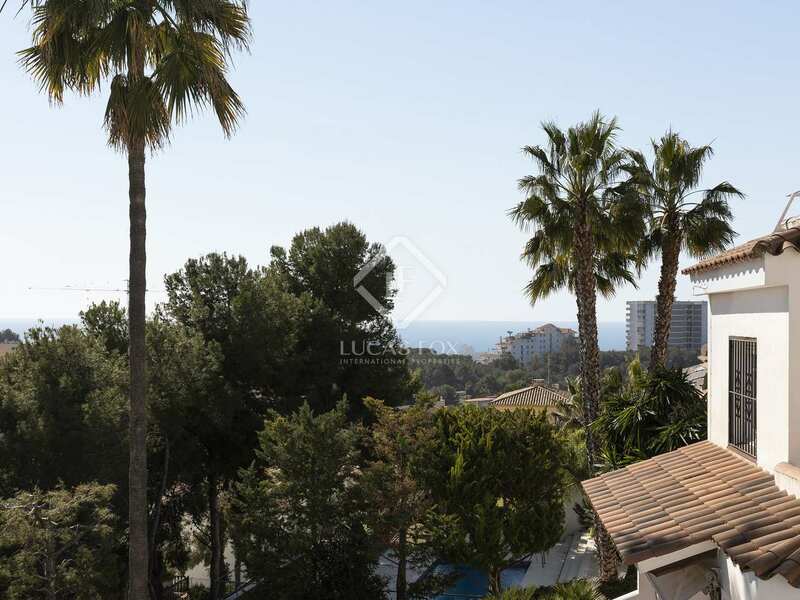 The location of the town is idyllic, since it is surrounded by the Garraf natural park and the Mediterranean Sea. 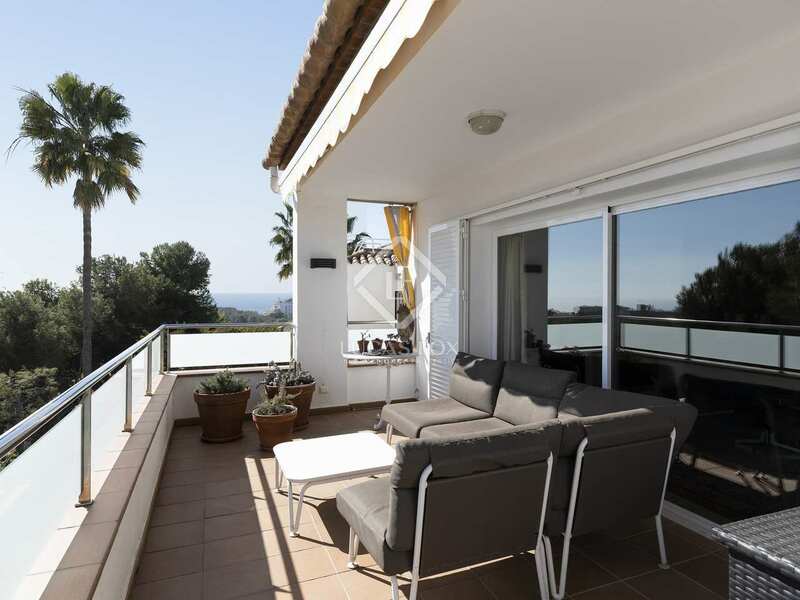 Sitges is known for its popular beaches, gastronomy, nightlife, golf courses, marinas and historic sites.